Whether you’re moving house or having your annual spring clean, many homeowners find themselves trekking to the Civic Amenities site(s) (Cardiff or Newport) three, four or even five times over a weekend queuing for hours at a time just to get rid of a car full of household waste. To take the pressure off the long drawn out process, hiring a small skip that takes care of skip delivery plus collection and the recycling of all your household waste is a great alternative. Here are 3 benefits to hiring a skip for your household waste. Journeys to and from your Civic Amenities site(s) can be very time consuming, taking a huge amount of unnecessary time in the car, queuing and unloading. A small skip will cost from £130 for a weekend hire in Cardiff, Newport or the surrounding areas means you will save time that can be better spent on your project. Because we deliver and collect the skip; it means skip hire can be an extremely convenient and good value way of disposing of your waste, plus you get to know the end destination of where your waste. By hiring a skip, it means you are also doing your bit to protect the environment. 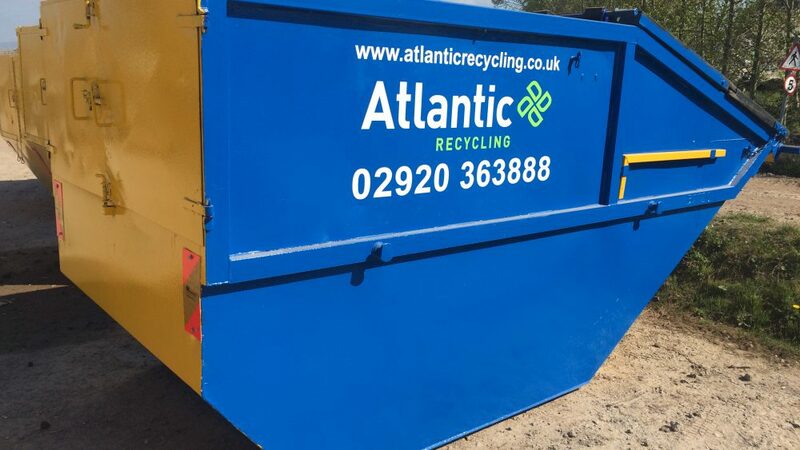 By hiring a skip from Atlantic Recycling, we can be confident that all our waste is either recycled or disposed of in a safe and responsible way. Along with our partner companies that include Neal Soil Suppliers, we’re able to dispose or recycle many household and garden materials that would likely end up in landfill if ended up in the wrong hands. Our skips comes in difference sizes, so regardless the size of your household project; we will be able to help. 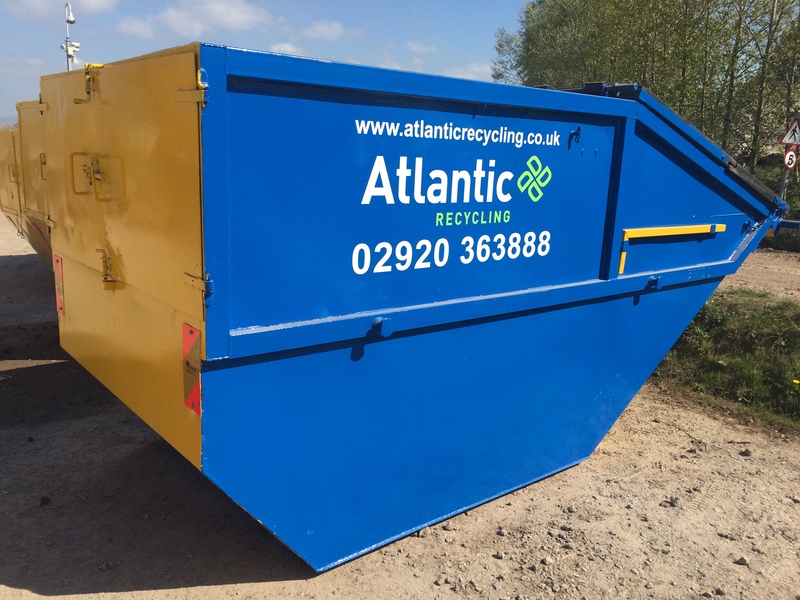 Our smallest skips hold approx 40 waste bags up to to our largest household skip which is 16 yards which ideal for light, segregated wastes such as wood, plastics and cardboard. These skips are ideal for home renovations, home clear outs or room refurbishments. If you’re based in Cardiff or the South Wales area and looking for a convenient and environmentally friendly way of disposing your waste, then get in touch to speak to our expert team today about your skip hire requirements.